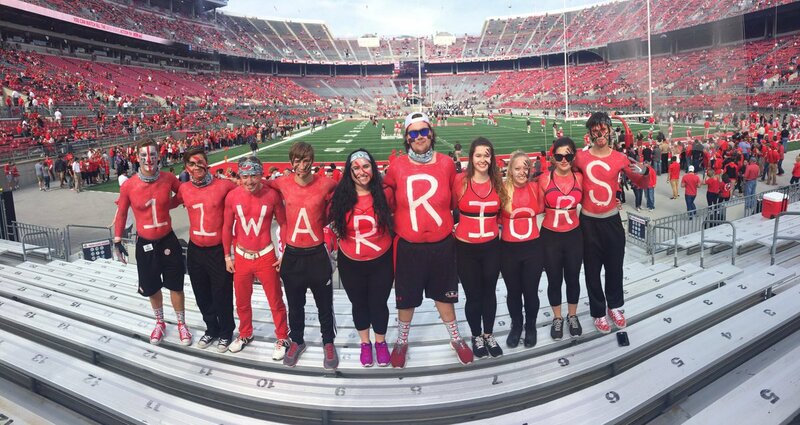 Advertising with Eleven Warriors is a great way to reach a young, educated and affluent audience that loves college sports, and Ohio State athletics in particular. Eleven Warriors is where Ohio State fans gather. As the largest college team-specific site on the internet, Eleven Warriors welcomes millions of Ohio State and college sports fans – over 30,000 of them registered members of the site – recording upwards of 1.5 million unique visitors and 15 million pageviews per month. With credentialed reporters and photographers providing coverage of Ohio State athletics events, the Eleven Warriors Report airing weekly on Spectrum Sports Ohio, an award-winning podcast, the Eleven Dubcast, and more, Eleven Warriors provides the depth of coverage Ohio State fans expect for their favorite team. Eleven Warriors gives marketer's a first-mover advantage by putting your message in front of the right stories and the right audience. It's an audience that's curious, dives deeper, and wants to share what they've seen. From viral articles to branded content, Eleven Warriors uses its proprietary Tatum technology to deliver cost-effective and impactful messaging for your audience. Whether its content that tells your brand story or television and podcast spots, our talented team works closely with brands to align messaging with content that informs, inspires or entertains. And you can be sure your message will resonate with a passionate and vibrant community. Please reach out to us for questions or inquiries: advertise@elevenwarriors.com.